Ripped Recipes - What the Fudge? High-Protein Fudgsicles! Home » Recipes » Dessert » What the Fudge? High-Protein Fudgsicles! What the Fudge? 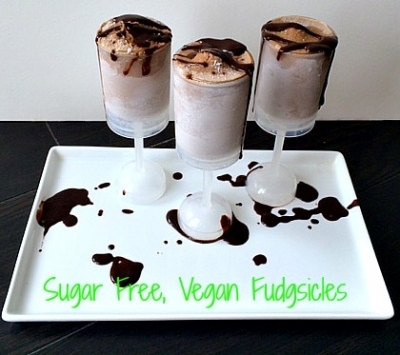 High-Protein Fudgsicles! High protein, vegan, wheat, gluten, sugar, soy and fruit free fudgsicles! A healthier take on a classic (unhealthy) summer staple! Mix all ingredients together and distribute into push pop contraptions, pixie cups or ice cube trays and freeze for an hour +.